Gotta love how whisky becomes a world traveller. 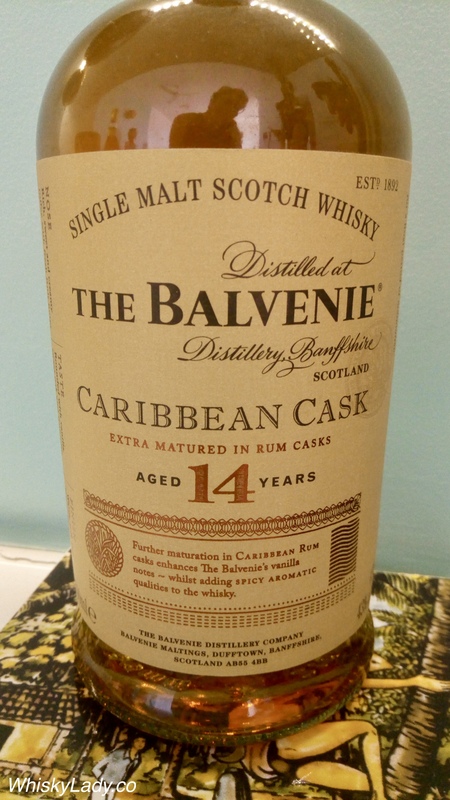 This particular Balvenie started its life in Scotland with the usual approach but then was finished in ex-rum barrels from the Caribbean. 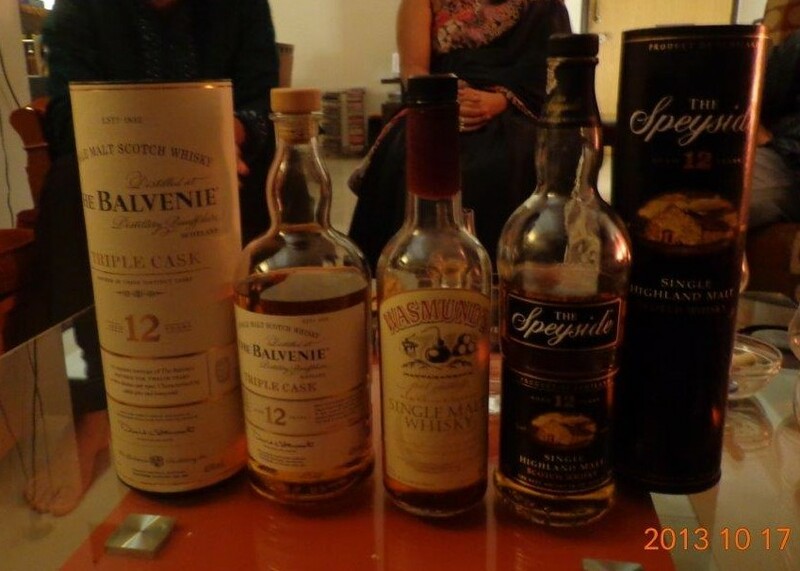 Then made its way to Taiwan where it was purchased for the Whisky Ladies of Mumbai, India. What did we think? Read on! Overall it was pronounced enjoyable. And while clearly part of the ‘standard stable’, the rum finish is a nice touch. 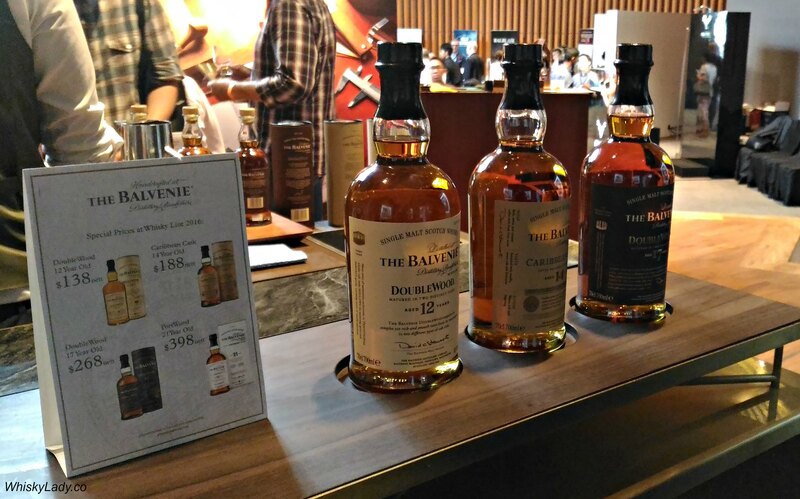 I’m nearing the end of my Whisky Live Singapore ‘speed dates‘… I made zero attempt to get to all booths, instead I wandered, meandered, stopping where fancy struck. In a few cases, I planned to return but didn’t yet there was no regret… all that means is more to explore at the next one! I will admit to skipping over the 12 year and Caribbean Cask 14 year to go straight to the Doublewood 17 year. 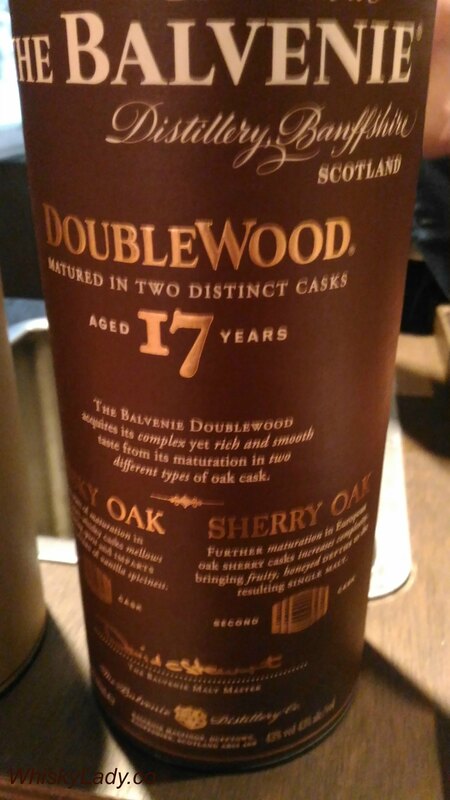 The DoubleWood 17 Year Old has a lovely honey vanilla nose, crisp orchard fruit, spicy, toffee… in short lip smacking good! 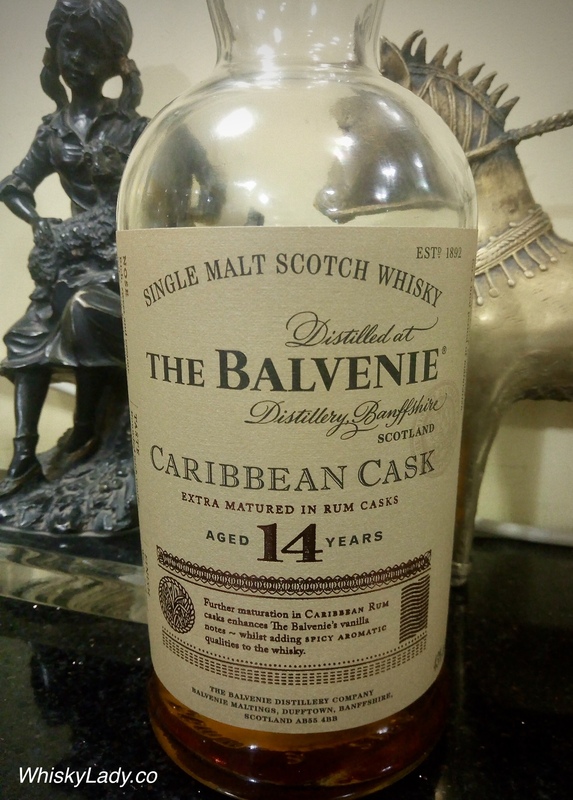 This was a dram savoured and enjoyed without scribbles… just because sometimes one just needs to stop and experience. 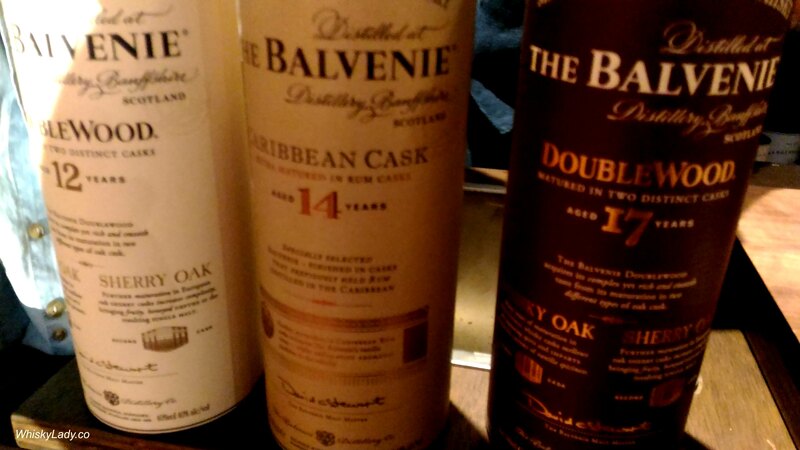 So why did we think Balvenie Triple Cask was the smart kid in the class? Palate – Not as complex and nuanced as the notes would suggest. We found it lightly peated, with a peach sweetness. Finish – Remained largely in the mouth, not complex, but still rather nice. Most speculated it must be a younger speyside, around 40%, still a bit “green” yet didn’t detract from being quite a nice sipping whisky. While most considered it too mild to add water, we gamely put in a few drops to see the results – only diluted the taste, shifting to a bit of harness yet still sweet. Our vote? Neat is best with this one! 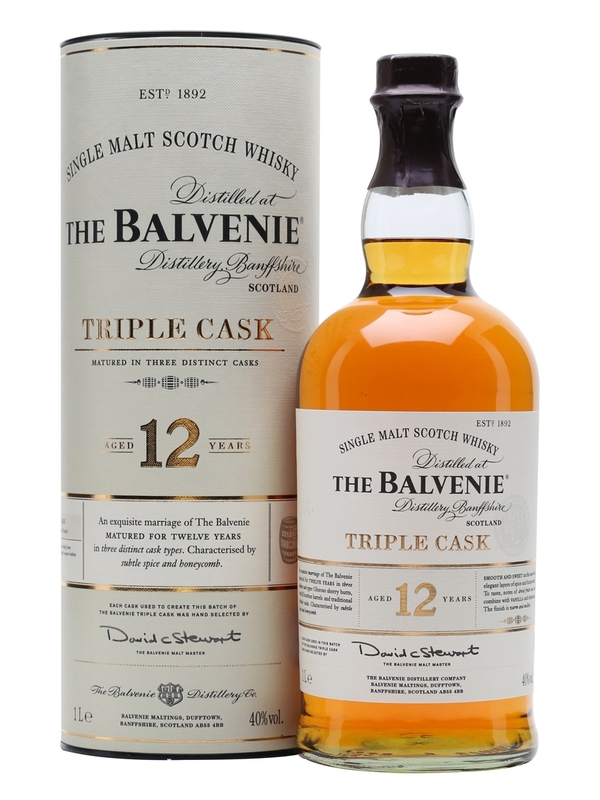 Back in 2013, it was a new offering for the duty-free market – boasting (as the name suggests) maturation in three different casks: first-fill bourbon, refill bourbon and sherry. Wasmund’s – The bad boy you just wanna go a little wild with and can’t resist! The Speyside – The guy you can count on, a companion. In short – the marrying type!